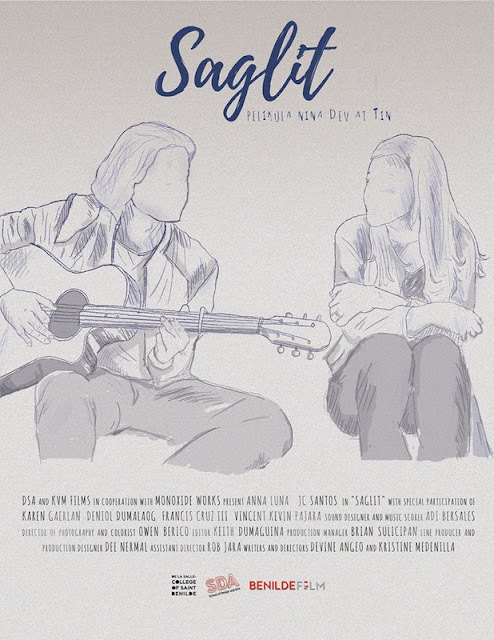 Seven short films from the De La Salle-College of Saint Benilde Digital Filmmaking program (BenildeFilm) were officially selected and screened as part of the Diwa Filipino Film Showcase of Seattle held at the Armory Loft 1 Seattle Center, Washington last June 2 and 3. John Craig de Guzman's Amy, Christian Rae Villanueva's Ang Mga Turo ng Gabi (The Lessons of the Night), Aleina Espineli's Ang Pagbabalik Tanaw ni Olympia Mercado (A Look into the Life of Olympia Mercado), Kim Timan's Caramel Child, Pamela Barrios' Cesar & Magda, Lino Balmes' Orlie and Dev Angeo's and Kristine Medenilla's Saglit (A While) were among the films about the Filipino diaspora featured in the Seattle event. Amy tells the story of Mark (Seaver Choy) who is reminded of Amy (Chloe Tabanda), a person who has just passed away in Typhoon Yolanda (Haiyan), as he sees her in his reverie. It earlier won Best Short Film and Best Editing at the 9th Largabista Film Festival in Tacloban, Leyte and tied for the Best Narrative Film award at the first ASEAN Biennale or ASEANnale Film and Multimedia Competition in UP Diliman this year. 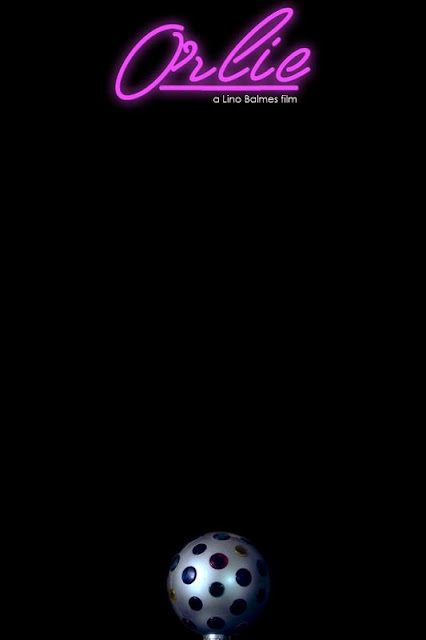 In Ang Mga Turo ng Gabi, Juanita (Sheenly Vee Gener), a teacher battling depression, teams up with her delinquent student (Dylan Ray Talon) to retrieve something important for her over the course of one night. The short film previously won Best Editing (Annie Chua) and Best Performance (Talon) at Pelikultura: The CALABARZON Film Festival 2018. Ang Pagbabalik Tanaw ni Olympia Mercado is about a middle-aged woman (Maddie Martinez) remembering memories of a treasured relationship triggered through her taste buds. 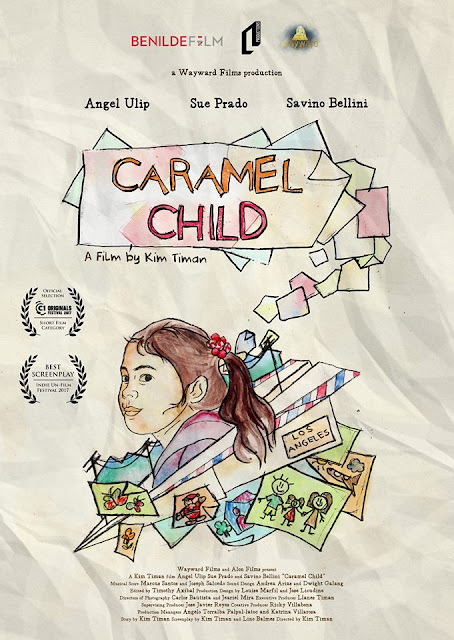 In Caramel Child, which is set in the year 2003, Katherine Kaye Jones (Angelica Ulip), or Kakay, is a child of a call girl, Ellie Pilorin (Sue Prado), and an absent American man. A poster of the Regional Science Quiz Bee and her mother’s American client (Savino Bellini) will fuel Kakay’s curiosity and determination to finally be in contact with her father. It bagged the Best Film, Best Director (Timan), Best Screenplay (Timan and Balmes), Best Performer (Ulip) and Best Musical Score (Marcus Santos and Joseph Salcedo) at Pelikultura 2018. It also won Best Screenplay at De La Salle University’s Indie Un-film Festival 2017. It is a nominee for Best Short Film at the Cinema One Originals Festival 2017 and 41st Gawad Urian. 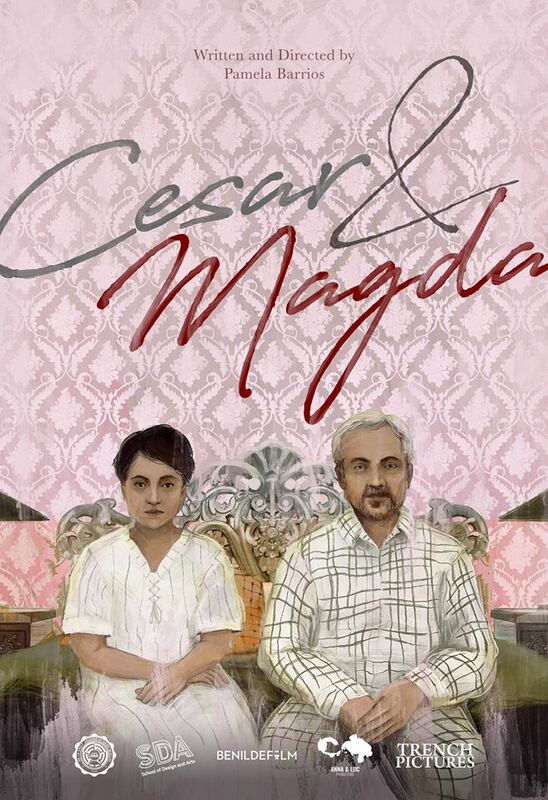 Cesar & Magda is a film about a man who’s trying to survive his extinguished married life. Cesar (Francis Mata) tries to bring back the spark of their relationship by mimicking an ideal woman (Larissa Louise Alivio). He has yet to discover the uncertainty of how his wife, Magda (Bridge Martin), would absorb the transformation. It is one of the finalists in the short film category of Sinag Maynila Film Festival this year. In Orlie, after hearing about the Orlando Massacre, the lead character finds himself deeply affected. While seeking refuge in his bathroom, he comes to discover the extent of his wounds. After winning Best Supershort Film at the CineFilipino Film Festival 2018 and a jury commendation at the 12th Filminute, the one-minute film competes at Mister Vorky: 5th International Festival of One Minute Film in Serbia and the 18th Korea Queer Film Festival in South Korea. Finally, Saglit (A While) is about a former couple, Misha (Anna Luna) and Kai (JC Santos), who spends one last night together before the former gets married and the latter migrates. 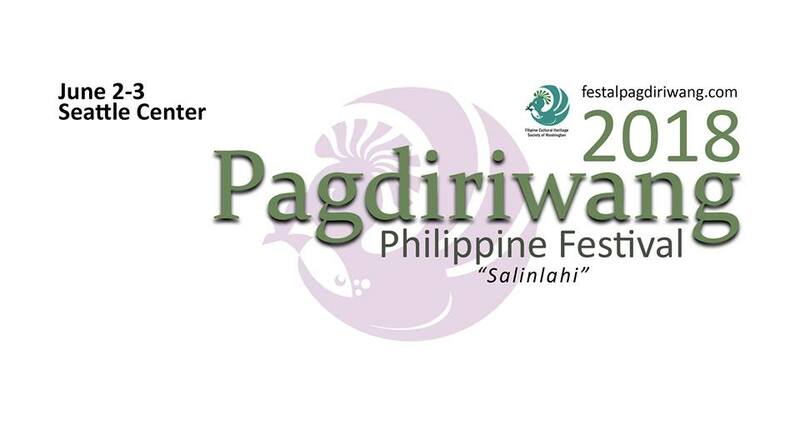 Diwa, a small community film festival made in cooperation with the annual Pagdiriwang Philippine Festival, aims “to celebrate the Filipino Spirit wherever it resides by exhibiting films from the Philippine islands and beyond,” according to Festival Director Adrian Alarilla. Pagdiriwang, which commemorates the anniversary of Philippine independence, is presented by the Filipino Cultural Heritage Society of Washington (FCHSW) to promote better understanding of the Filipino arts and culture. Held at the Seattle Center since 1987, it has grown into the largest festival of Filipino art, craft, song, dance, music, history, literature, and culture in the Pacific Northwest.